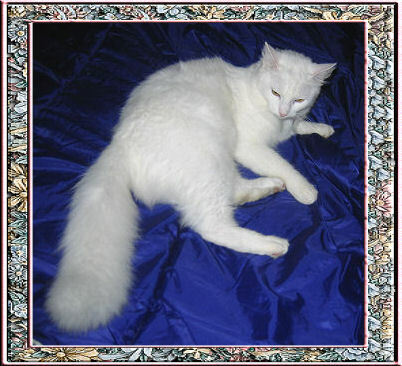 Tinkerbell is a Turkish Angora. Here she's relaxing on a bed. 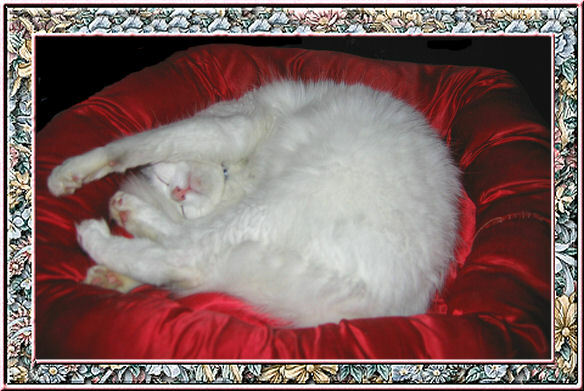 Here she's sound asleep in her cuddle bed. 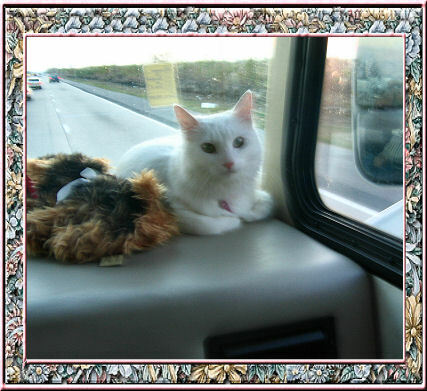 This is her favorite spot to ride in our motor home.